The dust has settled and the new school year has begun. Your desk is piled with papers and the name tags on your students’ desks have begun to peel. How do you maintain your classroom organization when you’re drowning in a tidal wave of paper work, reports, data folders, assessments and ungraded papers? Join us as we discuss organizational tricks…like hosting an after school bonfire to manage your paper work…Anyone have the marshmallows?…. JUST KIDDING! Kind of. OR visit us at the links below! Here’s some Halloween treat bag toppers for your kiddos and families. There’s room for you to add your own message on the back and personalize each treat. 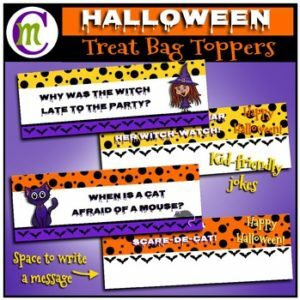 There are two different treat toppers included in this freebie. They will fit any standard 6 1/2″ snack and quart size bag, just add the treat of your choice, then fold and staple or tape the topper on. Feedback is not required but is certainly appreciated! This product is for personal and single classroom use only. Do not share or distribute this item. 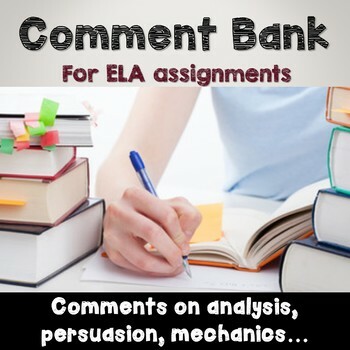 If you think another classroom or person would like this item, please share the product link instead. Thank you!